The majority of CNC machine tool consumers intend to use CAD-CAM software with their machines to program parts. This is in a large part due to how advanced CAD-CAM software is in the programming of toolpaths and outputting NC programs that can be posted to specific CNC controller models. It’s all about automation, efficiency, cycle time reducing CAM functionality and streamlining CNC manufacturing to add profitable margins to every job. So what are the advantages when it comes to Machine Tool Dealers who build strong relationships with CAD-CAM providers? Let’s take a look. It’s easy to say that adding a quality CAD-CAM product to a CNC machine package will immediately add value. But how? 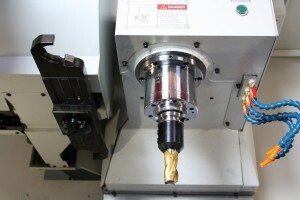 The CAD-CAM technology should compliment the CNC machines capabilities. The consumer will be using the machine tool for a variety of projects that can all be programmed with CAM functionality making it an easy decision. Companies that choose to implement CAD-CAM technology into an already productive operation go through a different set of decisions. The machine tool company that bundles CAD-CAM has already done the homework. Thus, bypassing the research stage of choosing CAD-CAM. The goal for the machine tool dealer would be to include CAD-CAM that has a proven post processor and axial programming capabilities that work well for generating toolpaths and machining operations that save the user time from manually programming. This is the major advantage. This builds value more than anything else. The consumer should be asking, can I use this software with this machine tool to speed up the job and save time? In addition, the machine tool dealer is providing more opportunities to take on jobs with their machine. CAD-CAM has become dynamic. Meaning that the consumer has more machining opportunities because they can program a wider range of jobs due to the vast possibilities that CAD-CAM provides them. 2.5, 3, 4 & 5 Axis CNC programming software is sometimes modular as in the case of BobCAD-CAM. This means that a 2.5 Axis CAD-CAM module can be bundled with the machine and then added to later by the shop as they bring in more complex jobs and need technology to quote and program them. Modules are priced accordingly so that shops never pay for CAD-CAM they simply won’t use until they are ready. Suddenly the machine tool dealer has exactly what the consumer needs and can save them money. These are a few ways that machine tool dealers can build value by adding CAD-CAM with their machine tools. CAD-CAM software has evolved to be a key ingredient on successful CNC manufacturing in many ways. 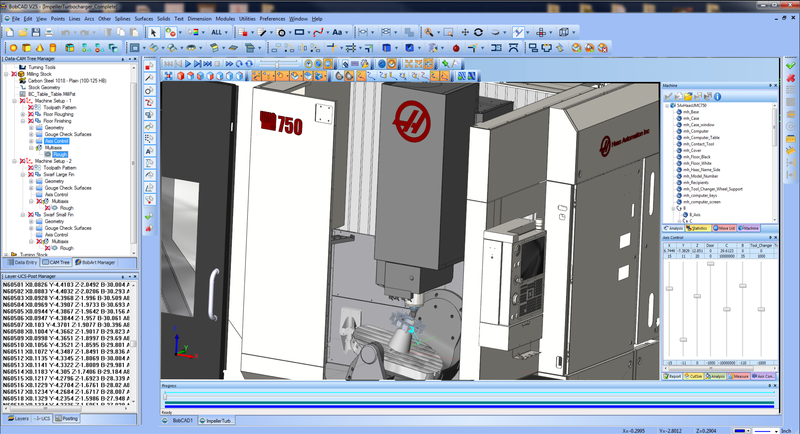 CNC machine tool dealers can see their machines in simulation mode. This empowers the machine tool operator because the machine simulation eliminates mistakes and costly errors before they reach the machine. By importing the machines kinematics in STL file formats into the software, the machine can be used in the process of inspecting toolpaths and machining easily. Suddenly the consumer has the ability to quickly generate machine cycle times for quoting and job planning and every CNC job can be inspected before being sent to the machine tool. As the roots of CAD-CAM have everything to do with CNC automation, manufacturers can benefit from the many time saving features that the technology brings. 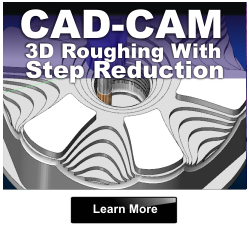 This includes the use of High Speed machine toolpath, Advanced Roughing for 3 Axis parts such as the BobCAD-CAM advanced roughing with intermediate steps that efficiently provides step-reduction functionality that reduces cycle times and provides improved part finishes. REST toolpath automatically generates toolpath for finishing in regions the larger tool couldn’t machine. These features and many others empower the consumer with CNC automation that amounts to better parts and higher profits in the end. It happens at all levels. An example of this is Heather Brown of Tristar Stainless Art, They currently use BobCAD-CAM with a 2ft. x 2ft. Baileigh plasma cutting table. “I create God Bless America or We The People in a font that I choose using BobCAD program, then I have to explode it to make it the way that I wanted. 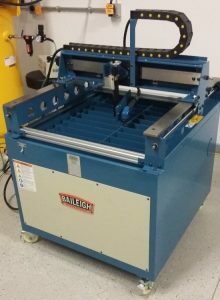 After I get the words right, I simply send it to my jump drive, take that jump drive to my Baileigh plasma cutting table, plug it in and……walla! !”, says Heather about the process. 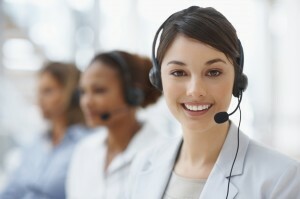 When it comes to empowering customers with a need, the list of them is long. The idea is to provide solutions that fit with the CNC machines capabilities. CNC manufacturing production can be effectively increased by as much as 50% with the use of CAD-CAM technology. CAD-CAM opens the door to improved interoperability with clients and long distance design and manufacturing teams that must work together. While CAD-CAM learning curves are growing shorter through Machining Wizards such as the ones in BobCAD-CAM software, the technology is removing the guesswork from programming and allowing operators to get on with making machine programs to make things faster. Time is money and effective time saving technology supports higher profits. 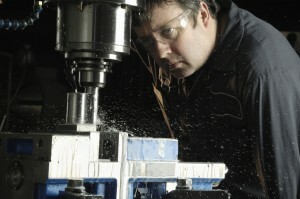 Take High Speed machine toolpaths and CNC machining. Trochoidal style toolpaths allow the tool to take deeper cuts and much higher speeds with vastly reduced tool/material collisions due to the nature of the toolpath. This results in less chatter, less tool wear and supports the longevity of the machine tool. The bottom line is that CAD-CAM technology supports efficiency and productivity. It would make sense that machine tool dealers would think twice about having to learn and support CAD-CAM technology with their customers. 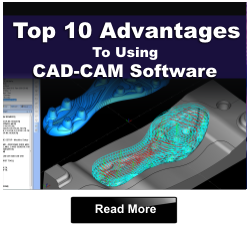 However, many CAD-CAM providers have established unique support and training solutions for their machine tool OEMs to make it easy. Suddenly the consumer has a team of technical and training people on their side. This ensures that the manufacturer is successful due to a strong relationship between the machine tool dealer and CAD-CAM provider working together. The latest BobCAD-CAM OEM and reseller programs include special technical support incentives and training opportunities that create winning relationships with their resellers so that success can occur. Installation technicians can reach their CAD-CAM representatives for help and installation licensing tasks while at the consumers plant. Technical training can be achieved online or on-site. The winning combination is that the CAD-CAM provider is a part of the machine tool dealers team when they need them. Training is always made available to the consumer so that they can be up and running fast. Machine tool dealers need for the CAD-CAM provider to stand behind the product and ensure that the customer has what they need to machine parts. With post processing handled initially, the machine tool dealer has everything they need to have their customers programming faster, smarter and easier than ever before. These are just a few of the benefits of CNC machine tool dealers building a successful relationship with CAD-CAM technology providers. It makes sense to provide a complete CNC manufacturing solution in competitive markets and CAD-CAM technology really does compliment the machine tool dealers products. Machine tool dealers can provide manufacturers with better solutions to machine their parts which will give their consumers an edge. To learn more about becoming a BobCAD-CAM OEM or Reseller call 877.262.2231 or 727.442.3554 today!